She hails from the African Motherland with a voice filled with soul and passion. A voice that has captured not only the ears of her homeland but has travelled abroad to tantalise the spirits of the global community. Naima McLean is a creative soul in every sense of the word. The singer, songwriter, poet and actress has worked tirelessly over the last few years to emblazon her artistic imprint on an industry as diverse and inspiring as she is, the South African entertainment community. Naima McLean is a proud “Pan African “as she describes herself, a unique and beautiful embodiment of an African mother and American father. She is one of the greatest rising stars to come out of the South African music industry to date and with her already amazing body of work solidified, her momentum has been steadily rising in the areas of music, acting and performance art. McLean is fiercely celebrated for her powerful spoken word works and was sent to the UK on a tour facilitated by the British Council called Verbalised where she also performed her work at various corporate events on that trip. She is a member of the African Leadership Network and through her work as a social activist; her passion for education and transformation earned her the title of “Global Youth Leader”. McLean’s work ethic is undoubtedly admired and respected and she continues to add to her already bulging resume of talent and skill with a body of work that is setting her up for greatness. 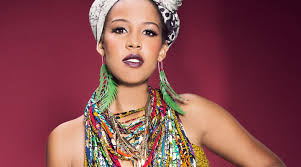 From performing in front of 50,000 people at the Nelson Mandela Sports and Cultural Day at Soccer City Stadium in 2013 to supporting R&B superstar Joe on his South African tour the same year, Naima McLean shows no signs of slowing down her rise. I am so excited when I learn of the amazing artists and creative that are growing and cultivating in my original homeland and it fills my heart with pride that I get to write on a fellow South African woman whom I share the same passion and tenacity for a life in the arts. Naima McLean is an amazing asset to the African music industry as a whole and judging from the followership she received on social media for her music and performing art works as a poet and an actress, Ms McLean is the real deal. She is the embodiment of beauty, power and feminism and as the face of Levi’s® Bold Curve Jeans, she represents one of 4 dynamic Divas that not only feature in the local advertising campaign, McLean also worked closely with the Levi’s® team on the brand’s longstanding HIV/AIDS initiative, Levi’s® Red for Life. 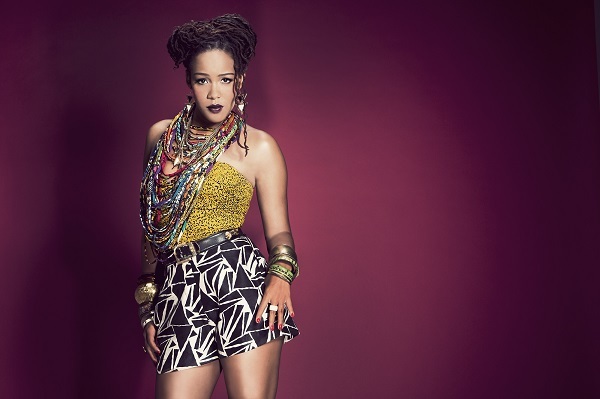 With the release of her latest single “Ride (Remix)”feat South African rap sensation Reason off her soon to be released second album, Naima McLean is paving for the way for a new musical niche she confidently coins as “Urban Soul”. She is a three strand artist who wears the titles of songstress, poet and actress like a badge of honour, an honour that is reciprocated through her ancestry, her country and her soul! 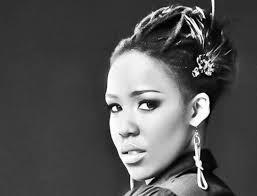 Naima McLean is the First Lady of South African Urban Soul! Given that I live in South Africa, I always consider myself first and foremost an African. Thus my connection to this continent is integral to who I am, to my everyday existence and it contributes to who I am as a person. Because I am African, anything that I produce with regards to my music is African; the two can never be mutually exclusive therefore I don’t consciously ensure that Mother Africa is present in my music per say. Tell us about your acting experience Naima? What types of roles have you played and who have you worked with on an international level? I read that you worked with the late Paul Walker on a movie called “Vehicle 19”? My first international acting project was a British series called Wild at Heart. I played a lead role called Buhle, but my first international feature film was Vehicle 19 – truly a life changing experience that changed me for the better. I hope to work on a lot more in the future. Paul Walker’s passing was devastating and quite frankly feels unfair in many regards. He was a beautiful down to earth soul and still had so much to offer. Without probably realizing it, he’s had a profound impact on my career development and for that I will always be grateful. I try not box myself under any genre to be honest, my music influences range from Hip hop, rock, RnB …but yes Soul would be the most significant. Tell us about your latest album and single release? What are your plans for releasing your music on an international level? My album is still yet to be released, my team and I are aiming for a summer release this year. My latest single release as I mentioned earlier is a remix version of my track called “Ride” and it features SA Hip Hop sensation Reason so I am busy with that at the moment. With regards to the international market I am definitely aiming to make a significant impact, and release there but as of now its still a matter of my team and I crossing our t’s and dotting i’s so to speak. Will we ever see you travel and perform in Australia?